Reading Freud provides an accessible outline of the whole of Freud's work from Studies in Hysteria through to An Outline of Psycho-Analysis. It succeeds in expressing even the most complex of Freud's theories in clear and simple language whilst avoiding over-simplification. The clear presentation, with regular summaries of the ideas raised, encourages the reader to fully engage with the texts presented and gain a thorough understanding of each text in the context of its background and impact on the development of psychoanalysis. 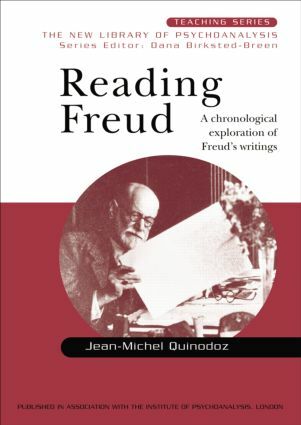 Drawing on his extensive experience as a clinician and a teacher of psychoanalysis, Jean-Michel Quinodoz has produced a uniquely comprehensive presentation of Freud's work which will be of great value to anyone studying Freud and Psychoanalysis.